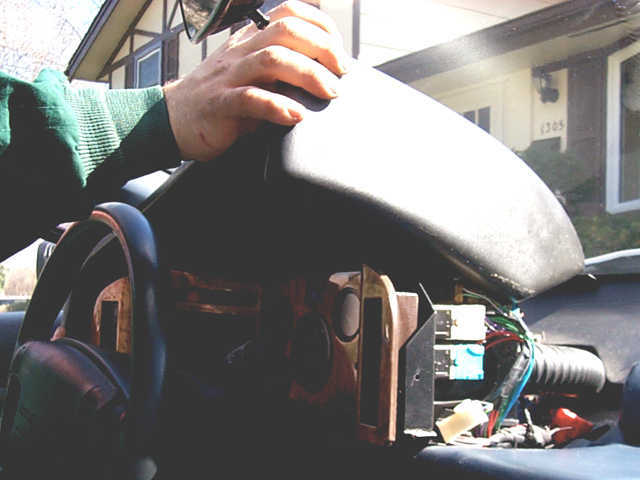 You may find that you need to remove the instrument binnacle from the car some day for who knows what reason. To do so, you need to sit inverted in the seat so that your head is in the footwell. As you look up, you should see the heads of 4 long bolts with 13mm heads. There are two on each side. Look for a pair of them near the hood (bonnet) release lever. The other two are symmetrically located on the opposite side. Once you remove the bolts, the binnacle will be loose. You then need to lift it with one hand, while you disconnect about three wiring harness connectors, an a/c vent hose that goes to the top of the binnacle, and the speedo cable (unscrews to disconnect). Be careful not to scratch your leather. 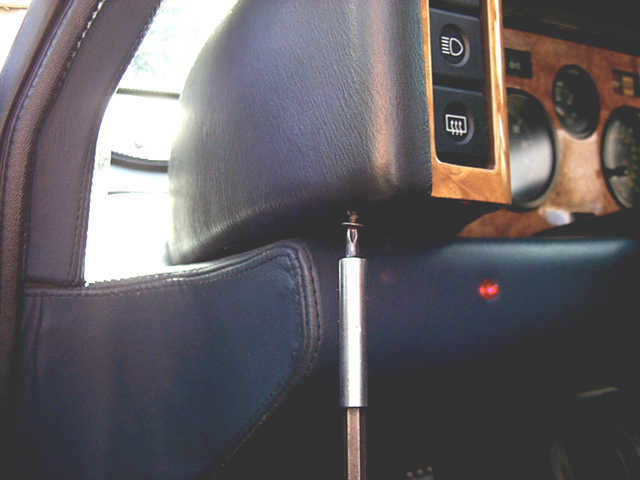 In newer cars with a/c vents in the facia, the removal of the binnacle is slightly different. You will find a couple of small screws that hold down the front binnacle cover. Remove these first, then remove the single 10mm bolt underneath the dash. Lift the cover off and disconnect the vent hose to the top of the binnacle. Reach in and disconnect the two a/c hoses. 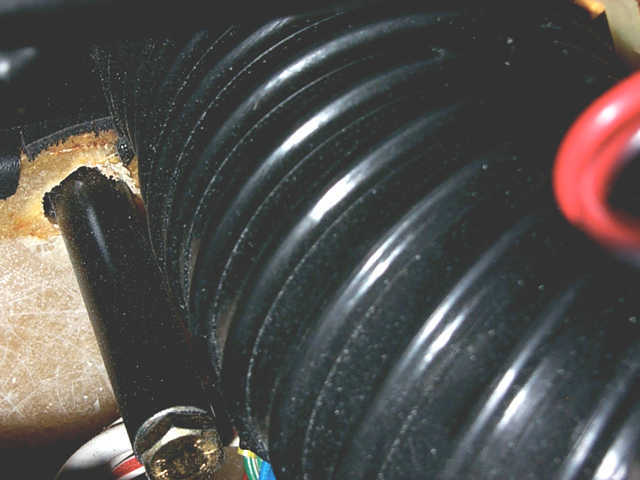 Complete the removal of the instrument pod by loosening the screws visible from the top. For a step-by-step guide to the process, see below. Believe me, it sounds a lot more difficult than it really is. I had never attempted it before and I successfully removed it in 10-15 minutes. 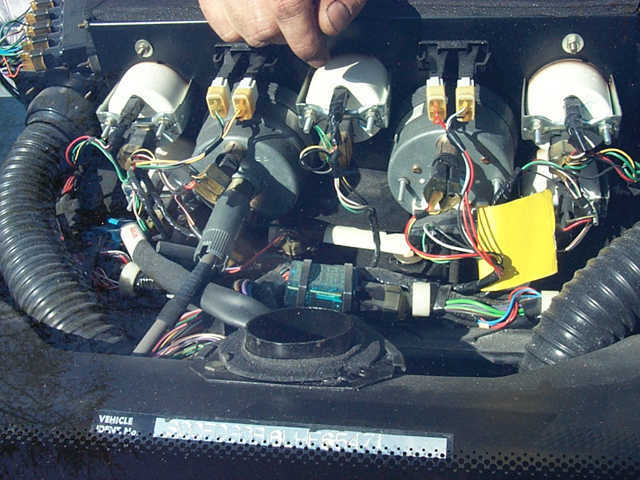 Unlike most tasks on an Esprit, removing the instrument binnacle (dashboard/instrument cluster) is relatively easy. The procedure varies slightly for the 88MY-89MY versus the 90MY-97MY. The reason for this is that in the first two years, the panel that holds the gauges was actually bonded to the leather binnacle cover. To remove it, you would actually remove the entire instrument cluster pod. 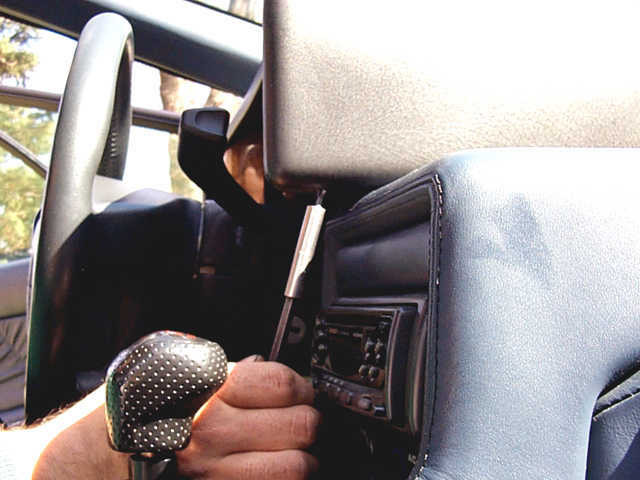 In the later years (starting with the 90MY), you actually remove only the leather binnacle cover and the instruments can remain in place. On a Difficulty Scale of 1 to 10, this procedure rates a 3. Here's how to remove the binnacle from an '89-'97 Esprit. Remove the screw from the underside of the binnacle nearest the door. Carefully remove the screw from the opposite side, being careful not to scratch the console leather. Whilst lying on the floor looking upwards into the area under the dashboard, locate the bolt pictured above and remove it using a 10mm socket. A swivel-head ratchet and flashlight will be most useful. 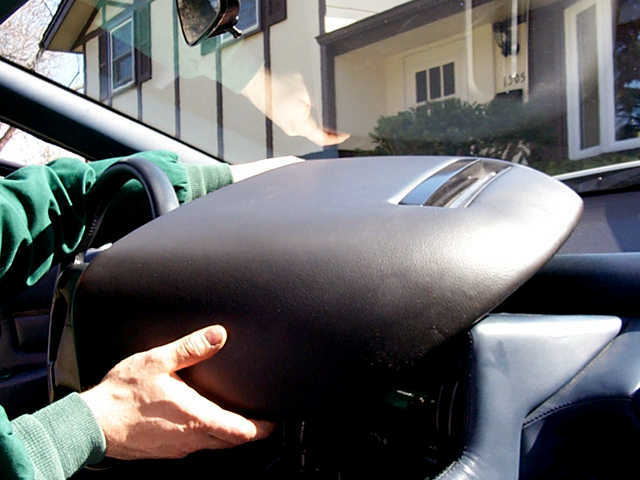 Carefully lift the side of the binnacle nearest the center of the car, then gently pull the bottom edges apart to clear the lower edge of the side fascia. Rotate and wriggle the binnacle in an arc to clear the dashboard. Be VERY careful not to scratch the leather above the radio, a piece of protective cardboard on the top surface would be wise. All of the gauges, indicator lamps, and switches are now readily accessible.